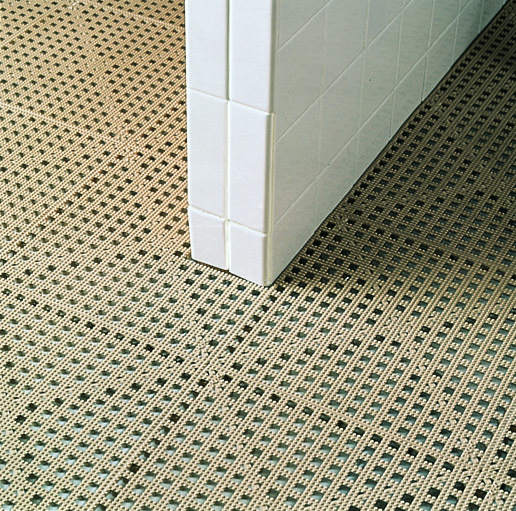 Looking for a non-slip, feet friendly, drain-through floor, perfect for wet areas? Locker Room Flooring is a sure bet to reduce slipping in accident prone areas and allows liquids to flow freely to drain. 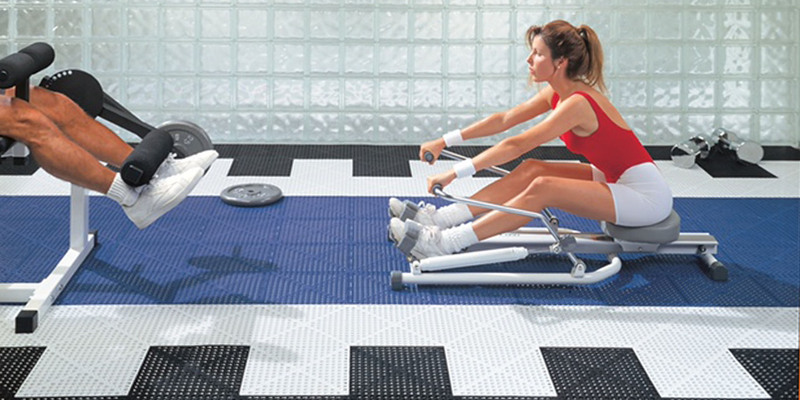 A variety of resilience are available to accommodate high-traffic industrial needs or gym and park feet friendly flooring. The drain-through design is coupled with anti-bacterial agents manufactured into the tiles to reduce spread of athlete’s foot and other foot fungi. 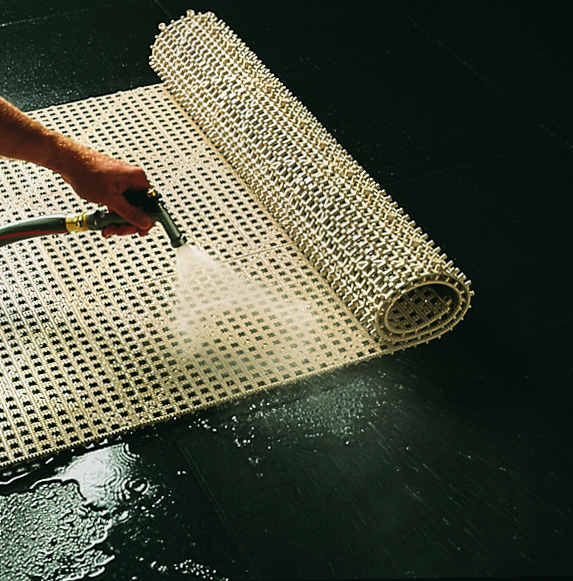 Raised ridges on the 12″ x 12″ x 3/4″ thick tiles increase the anti-slip surface.